The formal title has varied since its inception. In 2005, it was officially called "Best Performance by an Actress in a Motion Picture – Drama". As of 2013[update], the wording is "Best Actress in a Motion Picture – Drama". It is notable for being the category in which the only three-way tie in Golden Globe history occurred, when Jodie Foster, Shirley MacLaine, and Sigourney Weaver all won the award in 1989 at the 46th Golden Globe Awards. Olivia de Havilland won for her role in The Heiress (1949). 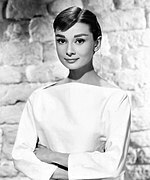 Audrey Hepburn won for her role in Roman Holiday (1953). 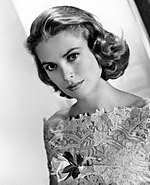 Grace Kelly won for her role in 1954's The Country Girl. Elizabeth Taylor won once from four nominations in 1959's Suddenly, Last Summer'. Jane Fonda won three times from five nominations for her roles in Klute (1971), Julia (1977) and Coming Home (1978). Sally Field won this award twice for her roles in 1979's Norma Rae and 1984's Places in the Heart. Meryl Streep has received fourteen nominations in this category, winning three times for The French Lieutenant's Woman (1981), Sophie's Choice (1982) and The Iron Lady (2011). Shirley MacLaine won twice for her roles in 1983's Terms of Endearment and 1988's Madame Sousatzka. Marlee Matlin won for her performance in Children of a Lesser God (1986). 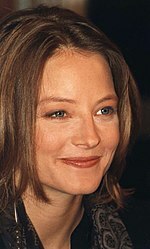 Jodie Foster has been nominated five times in this category, winning twice for her roles in The Accused (1988) and The Silence of the Lambs (1991). She achieved these two wins before she turned 30 years old. Emma Thompson won for her role in Howards End (1992). Jessica Lange was nominated five times, winning once in 1995 for her role in Blue Sky (1994). Cate Blanchett won twice for her roles in Elizabeth (1998) Blue Jasmine (2013). Hilary Swank won this award twice for her roles in Boys Don't Cry (1999) and Million Dollar Baby (2004). Julia Roberts won for playing Erin Brockovich in Erin Brockovich (2000). Nicole Kidman won once from five nominations for playing Virginia Woolf in The Hours (2002). Helen Mirren won for portraying Queen Elizabeth II in The Queen (2006). 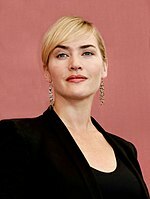 Kate Winslet won for her role in Revolutionary Road (2008). Sandra Bullock won for her role in The Blind Side (2009). Natalie Portman won for her role in Black Swan (2010). Julianne Moore won for her role in Still Alice (2014). Brie Larson won for her role in Room (2015). Isabelle Huppert won for her performance in Elle (2016). 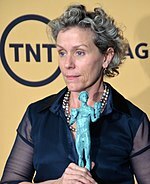 Frances McDormand won for her performance in Three Billboards Outside Ebbing, Missouri (2017). 1958 Susan Hayward Barbara Graham I Want to Live! Bette Davis Jane Hudson What Ever Happened to Baby Jane? Elizabeth Taylor Martha Who's Afraid of Virginia Woolf? Jane Fonda Gloria Beatty They Shoot Horses, Don't They? ^ "Trivia". Golden Globes website. Retrieved 2 November 2017.